The bakery chain has scrapped its popular £3 Christmas Lunch Toastie, which was a hit with customers last year, as well as its £1 Gingerbread Muffin. The Christmas Lunch Toastie has been a staple of the festive menu at Greggs for the last few years. It was a hot toasted sandwich with a filling of sage and onion turkey, cranberry relish, sweetcure bacon, Edam cheese, mature cheddar and béchamel sauce. The Gingerbread Muffin – which had a vanilla flavoured crème centre, caramel topping and sugar star decoration – has also been axed this year. Don't worry though as the ever-popular Festive Bake will be back in shops once the festive menu returns on Thursday, November 8. 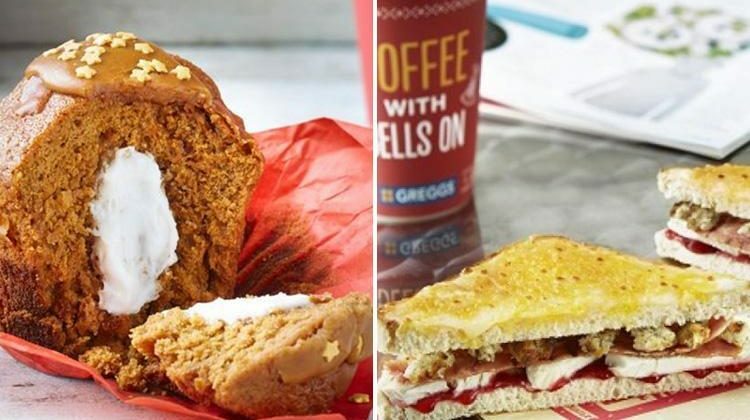 The Sun has asked Greggs to explain why it's scrapped the two items from its festive menu this year. It's not all doom and gloom though as this year Greggs has added five new items to its Christmas menu. They include a pigs under blanket baguette, which costs £3, and a cheese and chutney toasty, priced at £2.85. Its Christmas lunch sandwich is back too – costing £2.70 – as well as its Christmas lunch soup, available for £1.90. Also new this year are three festive themed hot drinks – a salted caramel latte, mint mocha and mint hot chocolate, which all cost £2.20 each. Greggs' Christmas lunch sandwich featured in our round-up of the best Xmas sarnies, where it was beaten to the top prize by a Sainsbury's roll. Earlier this month, we revealed that the Greggs festive bake would be back in shops – and it costs the same as last year. If you're a real Festive Bake obsessive, you can count down the days until it's back on shelves by checking the official Festive Bake countdown website called: Is The Festive Bake Out Yet?. What's on Greggs' Christmas menu?